Highly pathogenic avian influenza (HPAI) A/H5N1 viruses continue to circulate in poultry in many countries, causing disease and economic loss, and remaining a threat to human health. Vietnam has been one of the more severely affected countries with H5N1 (CFR of 49.6%). Mutation and reassortment of highly pathogenic avian influenza A(H5N1) viruses at the animal–human interface remains a major concern for emergence of viruses with pandemic potential. To understand the relationship of H5N1 viruses circulating in poultryand those isolated from humans, comprehensive phylogenetic and molecular analyses of viruses collected from both hosts inVietnam between 2003 and 2010 were performed. We examined the temporal and spatial distribution of human cases relative toH5N1 poultry outbreaks and characterized the genetic lineages and amino acid substitutions in each gene segment identified inhumans relative to closely related viruses from avian hosts. Six hemagglutinin clades and 8 genotypes were identified in humans, all of which were initially identified in poultry. Several amino acid mutations throughout the genomes of viruses isolated from humanswere identified, indicating the potential for poultry viruses infecting humans to rapidly acquire molecular markers associated with mammalian adaptation and antiviral resistance. Human Avian Influenza H5N1 was not reported in Vietnam since 2011, however, the H5 viruses are circulating in poultry population still. Then, a new H5H6 was confirmed – that is caused of reassortment event, this one was first reported in 2014 and continue to circulate up to date. 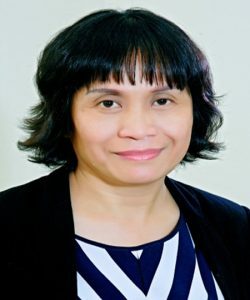 A/Prof Mai has been Vice Director of the National Institute of Hygiene and Epidemiology (NIHE), and is also Director of National Influenza Center, Vietnam. Dr Mai obtained her medical doctor degree from the Military Academy of Medicine, Viet Nam in 1989 and her PhD in Virology from NIHE in 2000. Dr Mai has been working at NIHE since 1990, her work especially focuses on viral emerging infectious diseases SARS (2003), seasonal and avian influenza A/H5N1 (2004 up to date), Dengue fever and Zika. Dr Mai’s group was the first to confirm that the pathogenic avian influenza A (H5N1) caused human infections in Viet Nam. In recent five years, Dr Mai has continually conducted the research in corporation with NIC team, focus on influenza evolution, reassortant in genome of seasonal and animal influenza virus that may lead to potential pandemic in the future, effectiveness of vaccine in community. Dr Maihas been a PI or has participated as senior researcher of national and international projects. She contributed as author and co-author of total 89 international publications in related fields including Nature (2005, 2006), New England Journal of Medicine (2009), Science (2014), the Lancet (2017).